& research at your fingertips. Welcome! Here at The Whole Journey, we teach you how to get to the root of your health issues instead of addressing individual symptoms. Join us as we teach you how to use food as medicine while incorporating a mind, body, spirit approach to feel whole again. Hi! I’m Christa, a clinical and holistic nutritionist dedicated to helping individuals use food as medicine to heal from the root cause. My passion is helping people live their best life, with a focus on the role nutrition plays in overall wellbeing. 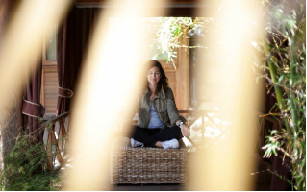 I’m a best-selling author, mom and host of three health and wellness TV shows. Learn more about me, my mission, and The Whole Journey here. Do you have intense sugar cravings, bloating, white coating on your tongue or mental fog? 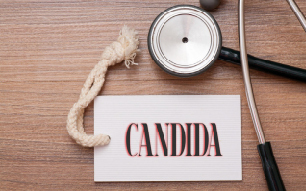 Take our 3-minute quiz to find out if you have candida. Learn how to stop living off stress hormones and start living in balance by recoding your adrenals, thyroid & nervous system in our newest program. Digestive issues, chronic pain, low energy? You could have leaky gut. Learn how to to heal your gut in our free webinar. WE CAN’T WAIT TO HELP YOU: heal your gut, restore your immunity, ease your chronic pain, get your energy back, balance your hormones or start a family. Find an online program, video course or book that’s right for you.